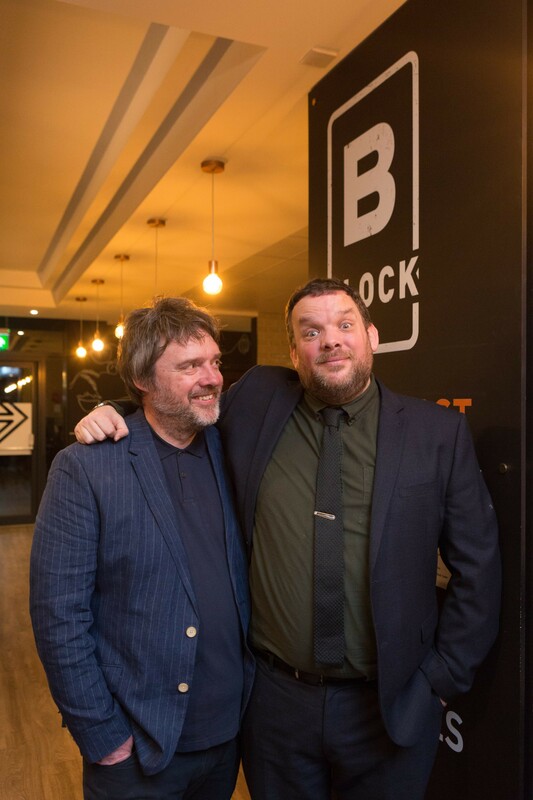 More than one hundred guests enjoyed B Block’s artisan wood-fired pizzas and then got to see some of the UK’s top comedians, including Sara Barron, James Trickey, Ed Gamble and Josh Widdicombe from Channel 4’s The Last Leg. The sold out gig was organised by Belly Laughs founder and stand-up comedian, Mark Olver and showcased an amazing line-up of both comedy and food. 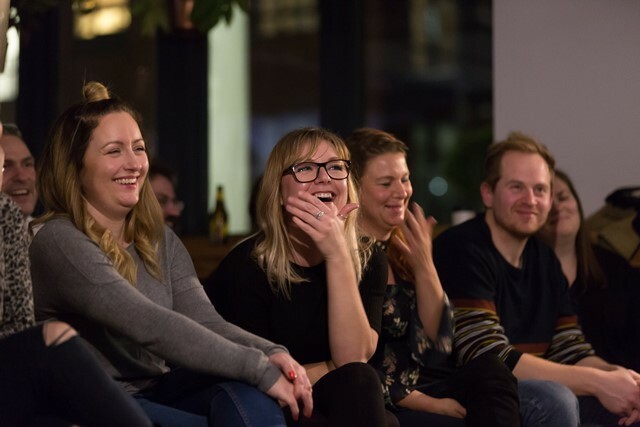 Belly Laughs is a series of comedy gigs that are held every January in restaurants and cafes around Bristol to raise money for the Julian Trust, which supports rough sleepers. 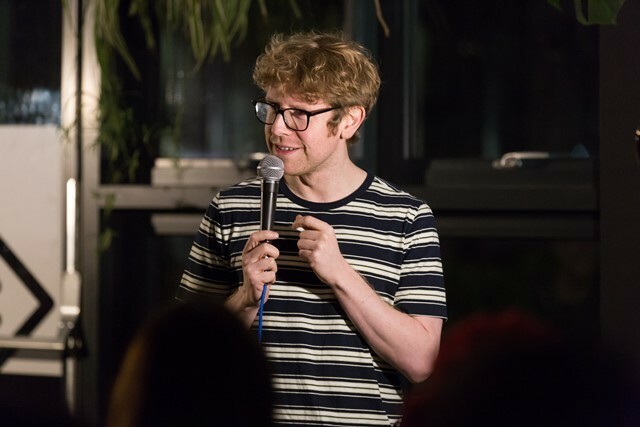 Mark Olver said: “The idea behind Belly Laughs is to do comedy nights in venues that wouldn’t normally host events and I loved the idea of doing a gig in a retirement village. B Block is located in the former Somerdale Factory, which has been redeveloped by Bristol-based charity The St Monica Trust into a £60 million retirement village. Since it opened last year, B Block has earned rave reviews from food critics and recently sponsored the relaunched Keynsham 10k. St Monica Trust’s Food Development Manager, Adrian Kirikmaa said: “It was great to have 120 people in B Block enjoying comedy and pizza. “Mark did a fantastic in organising the event and putting together such an amazing line-up of comedians, which raised £1,000 for the Julian Trust. Open from 7.30am until 9.30pm daily, B Block serves authentic wood fired pizzas, the best coffee from local roasters Brian Wogan and a range of salads, paninis, baguettes and mouth-watering pastries. For more information on upcoming events at B Block follow the restaurant on social media @BBlockPizza on Facebook, Twitter and Instagram or visit www.b-blockpizza.co.uk. Belly Laughs has now finished for 2019, but you can find out more about any upcoming comedy gigs by following @bellylaughs2 on Twitter.